"Because of his incredible success and comeback in sports (golf) and, more important, life, I will be presenting him with the Presidential Medal of Freedom," the President tweeted. Tiger Woods Wins the 2019 Masters Tournament, His 1st Major Golf Championship Since 2008. The medal has been awarded since 1963, and is typically given to a dozen or fewer people each year. Over the years numerous sports figures have received it, especially under the presidencies of George W. Bush, Barack Obama and Trump. 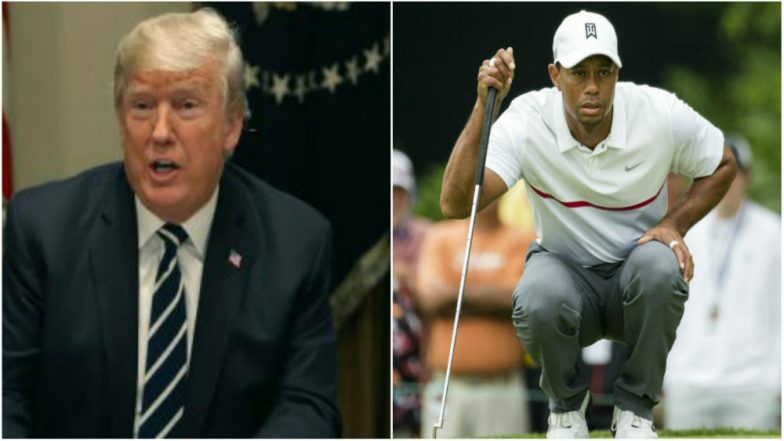 Woods has a longstanding relationship with Trump, an avid golfer. They own property near each other in Florida and have golfed together a number of times, both before and after Trump became President. In February, Trump tweeted a picture of himself with Woods and Nicklaus at the Trump National Golf Club in Jupiter, Florida.